Realizing that most sport-utes never venture any further off-pavement than that pothole-riddled side road you take to drop the kids off at soccer practice, car manufacturers are now focused on crossover SUVs, which, as you probably know, emphasize a carlike ride, leaving off-road functionality but a vestige. 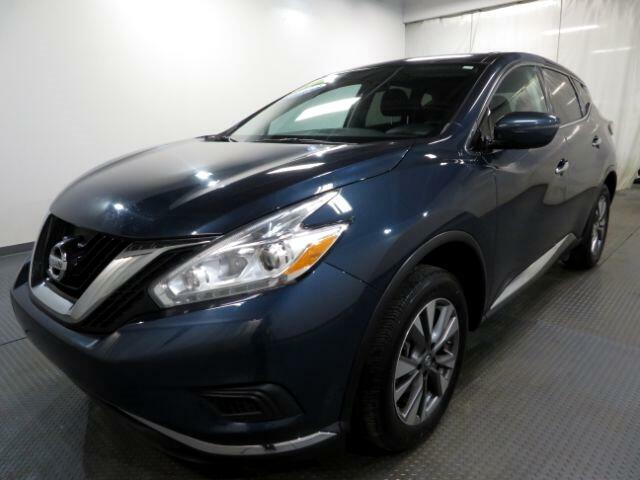 Nissan''''s crossover entrant is the stylish Murano and it''''s marketed as an urban SUV. Buyers seeking something more rugged have their choice of the five-passenger and seven-passenger Xterra.. The Nissan Murano, which gets its name from glass art made on islands near Venice, Italy, boasts a sleek exterior that features wraparound surface construction, a prominent stylized front grille and an upswept greenhouse that helps the Nissan SUV live up to it''''s stated aim of creating a sculpture in motion. Vertically stacked headlights with HID bulbs are offered to shed light on the road ahead; in back, a lightweight cargo door made from an advanced steel-reinforced plastic makes for easier opening and closing. Spoilers front and rear spoiler add aerodynamic sportiness to the SUV''''s lines, with the whole kit-and-caboodle riding on large 18-inch wheels and tires. ***Internet special. Price reflects discount for cash buyers. Traditional and special financing is available for qualified buyers. Please contact us first for availability as our cars go fast at near wholesale prices. Prices are subject to change. Sales Tax, Title, License Fee, Registration Fee, Dealer Documentary Fee, Finance Charges, Emission Testing Fees and Compliance Fees are additional to the advertised price. All options and conditions of the vehicles must be verified with the dealer, any descriptions or options that are listed maybe incorrect due to automatic data transfer.